Overview: These free tools make it easier to be a webmaster by placing many useful webmaster tools and/or internet marketing research datapoints right at your fingertips while you are browsing the web. The SEO Toolbar - Puts a lot of useful competitive research and market research data in a toolbar. 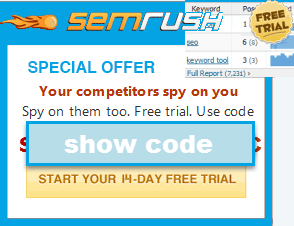 Also offers convenient access to a dozen popular keyword tools and rank checker. SEO for Firefox - Import useful marketing data right into Google and Yahoo search results. Rank Checker - keep track of your rankings over time in search engines like Google, Yahoo! Search, and Microsoft Live. Website Health Check - Extension comes as a free bonus when you join our training program. Helps you quickly find out if your site is suffering from major (and common) SEO issues like canonicalization problems and duplicate content getting indexed. Duplicate Content Checker - extension comes as a free bonus when you join our training program. Helps you quickly discover if any of your text has been published on the web already. Google Global - view regional search results from any country. Rank Checker - track your rankings in Google, Yahoo, and Microsoft Live search over time. SEO Link Analysis Script - extend Yahoo! Site Explorer and Google Webmaster Central using this free script from Joost De Valk. It verifies the link is still on the page, adds PageRank scores, displays anchor text, and highlights if the link uses nofollow. Show IP - shows the IP address from which your Google search results are being delivered. User Agent Switcher - allows you to act like you are GoogleBot or another search engine spider. Make sure you clear your cookies and browser cache before using this. Quick links and browser extensions which make it easy for you to access cool free SEO tools from anywhere on the web. Google Toolbar Buttons - Allows you to add quick links to SEO tools and RSS feeds to the Google Toolbar. SEO Book Google Gadgets allow you to put link research, competitive research, and keyword research tools directly on any web page, or on your iGoogle page.